The stock injectors on the MR2 turbo 3SGTE are 440cc, and are a "side feed" style. 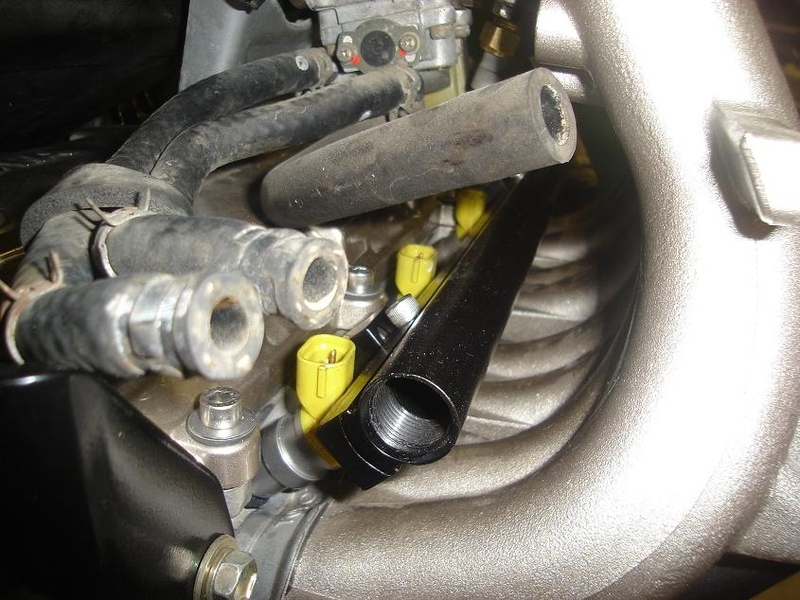 This is not a very common style of injector, and consequently aftermarket injectors in larger sizes are limited in selection and tend to be expensive! The stock fuel rail is marginal in design to begin with, and can't support anything larger than stock. 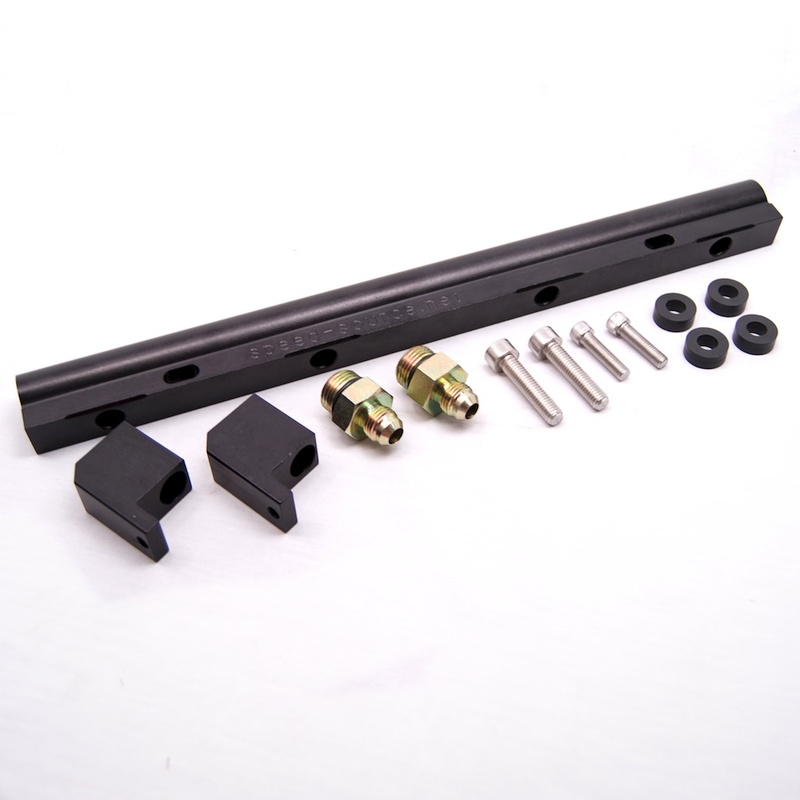 Our solution: Replace the rail with one that will support the more common top feed style injector. 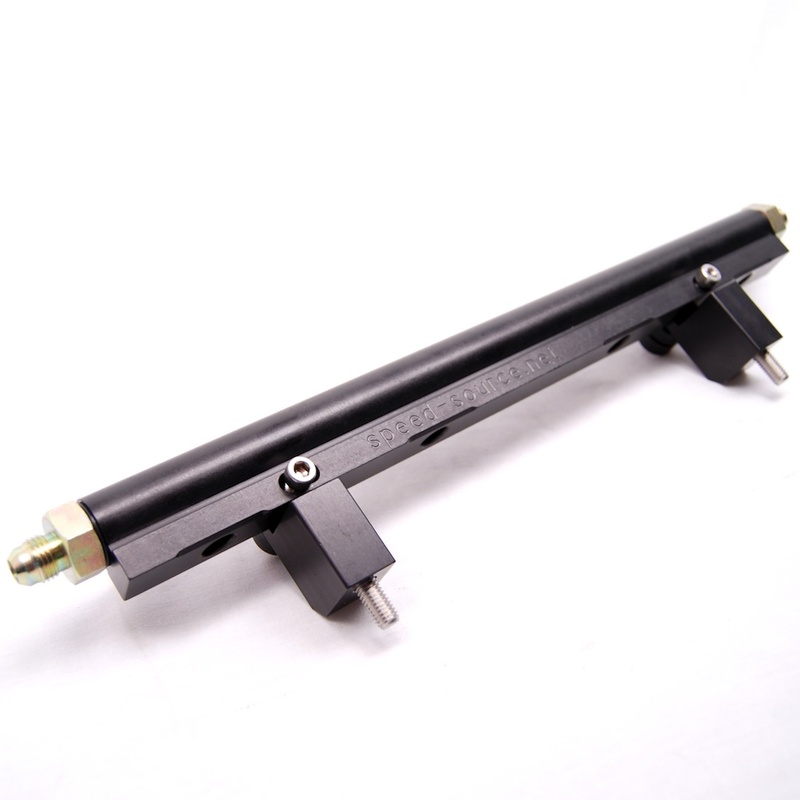 These injectors are available in any size needed. Designed and machined in-house on our CNC machining center. Large -10 bore size supports huge power and dampens pressure fluctuations. Presicion machined O-ring boss fittings, NOT tapered pipe threads. Custom cast Viton square rings adapt top feed injector to the 3SGTE head.